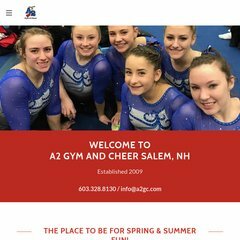 Topics: Gymnastics, Recreational, Competitive Team, and Private Lessons. Its 2 nameservers are ns36.domaincontrol.com, and ns35.domaincontrol.com. A2gc.com's server IP number is 97.74.93.120. American Registry For Internet Numbers (Virginia, Chantilly) is the location of the Apache/2 server. PING (97.74.93.120) 56(84) bytes of data.